Martavis Bryant’s career with the Oakland Raiders lasted all of four months before the team decided to cut him from the final roster. The former Steeler was sent to Oakland in April in exchange for a third-round pick in the 2018 draft (79th overall). 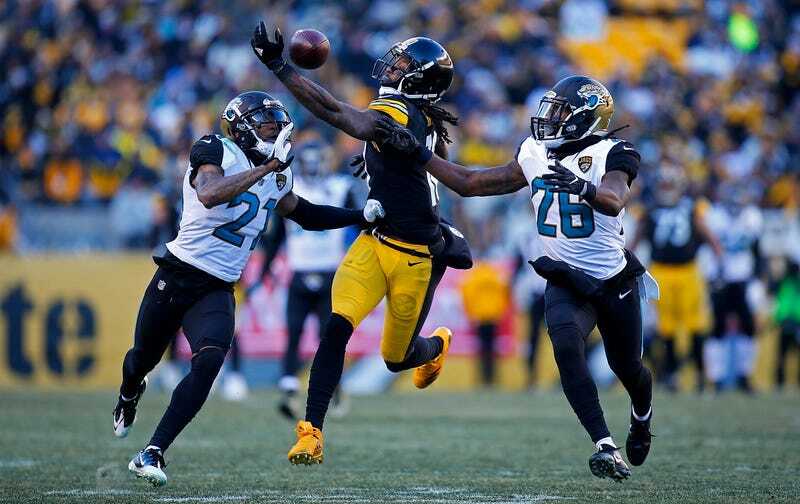 Around the time Bryant was cut, news broke that the receiver was in line to face another suspension from the league under the substance-abuse policy. If the NFL were to go through with the discipline, he’d face a banishment of over a year. But don’t worry Raiders fans, general manager Reggie McKenzie wants to make it clear that your team’s third-round pick wasn’t wasted on someone who might not be playing football for at least the next year—it was wasted instead on someone who the team couldn’t rely on. Ignoring the fact that McKenzie has clearly chosen to start copying head coach Jon Gruden’s speaking mannerisms in a likely attempt to save some semblance of power with the team, it’s never a good thing to hear that a 26-year-old receiver who was worth a third-round pick just months ago couldn’t compete with the likes of Keon Hatcher, Johnny Holton and the corpse of Jordy Nelson. The real losers of this whole situation will be the non-Pittsburgh teams in the AFC North. The Steelers flipped the Raiders pick for No. 73 overall, which they used to get their quarterback of the future, Mason Rudolph. That most minor of threats has motivated ol’ Big Ben to play at least five more years, giving Antonio Brown a motivated quarterback to throw to him. Thanks, Oakland.